This being our first trip into the woods there were a few errors made, like forgetting fuel for the camp stove and bugspray. 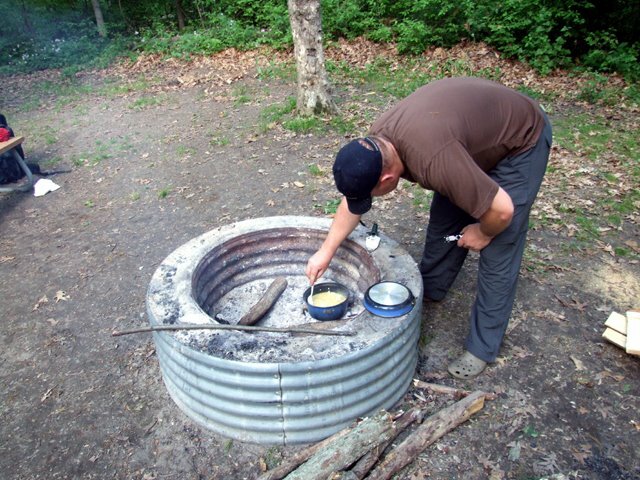 That only added the adventure, we had to cook over coals. It takes a little more work but honestly it was fun. 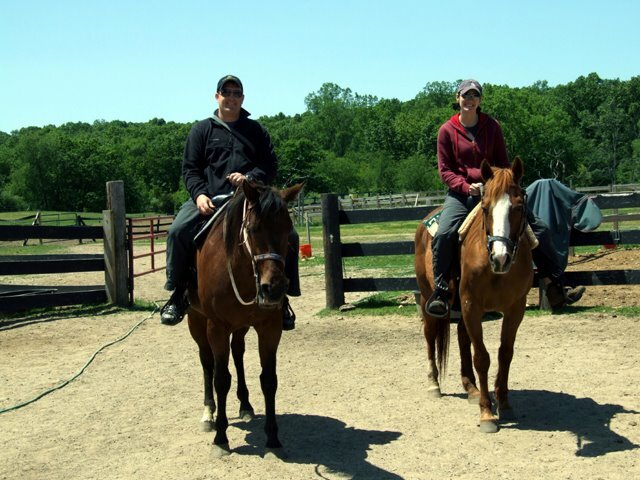 That wasn’t even a tiny part of the fun we had, we went horseback riding!!! This is the first time I have ever ridden a horse, I wasn’t scared just excited like a little girl. I have to say it was one of the most fun experiences I have ever had! We had a very nice guild who set we up with a gentle old girl. It is a good thing that I didn’t get to ride as a kid, I would have been a miserable little girl trying to finagle a horse out of my folks. The perfect day ended with a trip into the town of Brighten, MI. This little gem was full of yummy restaurants, boutiques and beer! We found a new collar for Pippi and at the restaurant a guy seeing Josh’s Marine hat came over to talk. When he introduced himself as a member of the 3rd Amphibious Assault I nearly screamed. To meet a guy from Josh’s unite is a never occurrence. He was from such a small unite, the guy had served in the 60’s and had tested the AmTrax Josh drove. They chatted about changes and laughed about what didn’t change. It was a very unique experience. Look Like Real Wyoming Residents Now!! 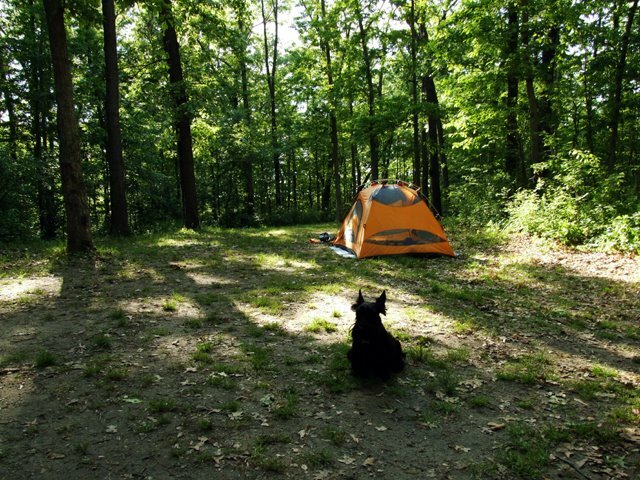 This entry was posted in camping, Outdoor Fun, Weekend trip. Bookmark the permalink.